“I cannot imagine another desirable perspective in the future that a form of ecological life, in which the architecture would come back to the initial idea of the funcionalismo, derived from the biology, and it would establish again in his cultural and regional substrate. This architecture, which might be called funcionalismo ecologically (…) a paradoxical task would imply making her contemporary more primitive and more refined … The ecological architecture means that the building is more a process than a product”. 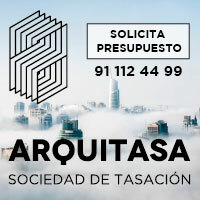 In the current moment of crisis, lost already the confidence of the company in the group of architects, the identity of the licentiate in Architecture meets reduced up to making him doubt the need or demand that the rest of the company has of his professional services. It is not for less, having demonstrated that so much the high political spheres have exceeded the imaginable limits of the pharaonic fantasies helped with his architect of chamber more faithful that it was fulfilling his indescribable desires and ambitions of posterity. Yes, approximately 4.700 years later, we have been present at the construction of all kinds of Saqqara (for mentioning the first great example of pharaonic architecture), where the own Pharaoh Djoser was claiming the great architect Imhotep that his architectural legacy was managing to reach a worthy place for his mummified body. Choose you, reading darling, any of the recent or future Saqqaras (there be call “City of the Arts and the Sciences”, “City of the Culture”, “Eurofertile plaines” …), replace the Pharaoh with a politic with vanity of them of now, choose a starchitect, and … voilá, “Beguin the beguine”!! To exercise a healthy critique is opportune and up to necessarily. But always I have understood that any good critical exercise always possesses two basic qualities: one, one deep and rigorous analysis of the problem; and other one, a diagnosis directed to opening routes of exploration along different where (the attentive recipients of the message) will pass later to the search of new horizons. In this respect, it wanted to take advantage of this post to share with you, reading friend, this worry for the sustainable development regarding the paper of the architect in the immediate future in routes to the implementation of the Board 2010/31/UE towards the aim of 20/20/20 for his putting in march in 2020 in all the buildings of new plant (or, the day after tomorrow), and in 2018 in those of the Public Administration (tomorrow same, go). On the occasion of the fair CONSTRUARQ 2013 that he has just concluded, I was invited to give to declare a conference in the E.T.S.A. of Valladolid where I approached this topic. On one hand, showing the responsibility that, as architect, we have in the “commitment with our planet” (for saying it somehow), while agents of the process of building, as he says the L.O.E. Yes, reading darling, the architect should know that “40 % of the total consumption of energy in the European Union corresponds to the buildings” (I do not say it, it is said by the point 3 of the preamble of the mentioned European board, almost ná). It is also in our hands as professionals to help to correct this global heating for the emisiones of noxious gases, with few ones and simple decisions. In the conference, I exposed the case known at all about Le Corbusier, who suffered as nobody and in his own meats the critique to an architecture that was above the law, without considering either the user, or the promoter, not to the environment (three big props of what we are called a “sustainable development”). In his Citè de Refuge (1929-33), the French Swiss teacher there ran up with and that would be the great failure of his career, not only for the complaints of the recooked inhabitants of his presumptuous building with wall curtain, but for being even sat in the bench on having been taken to lawsuit by the Parisian authorities. 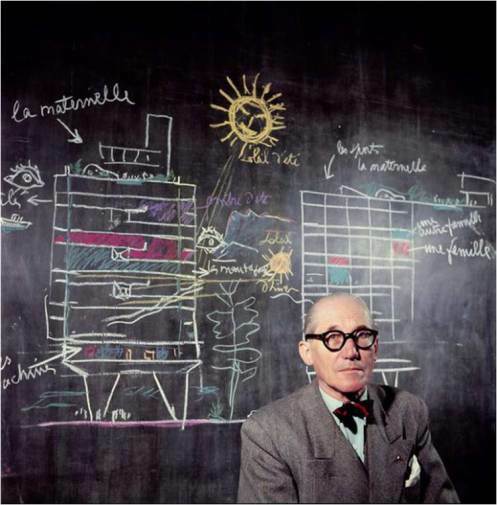 After this pernicious experience, his projects directed to obtaining the isothermal perfect and universally valid box in any place, Corbusier changes the course of his professional practice with the introduction of the brise-soleil, really “sixth point of the new architecture” that never joined to his famous manifest of “cinc points” of 1927. This new change was putting in value the human being finally represented by the Modulor, who was going to live the spaces of his new buildings wrapped in a deep skin of parasols orientated as “epure du soleil” applied to every geographical concrete emplacement. And even, from 1950, it will start a methodological system for his systematic application in his projects with the “Grille Climatique”. Absent these matters of all the studies on Le Corbusier, is not less true than probably today more that it suits to dust this history ever counted of the great teacher of the architecture of the 20th century to receive, again more, a lesson of Architecture for the new times that wait for us ever. Meanwhile I offer you the possibility of seeing my presentation PWP that I have hung on Slideshare with the conference of the CONSTRUARQ 2013 it brings over of all these matters.